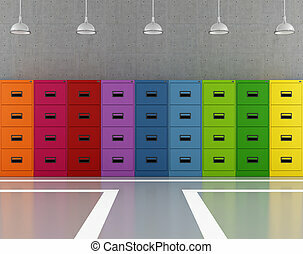 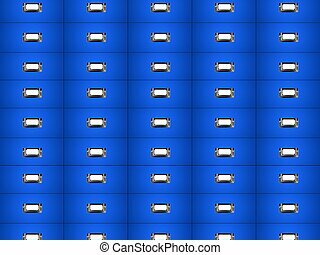 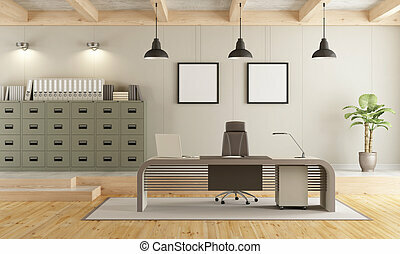 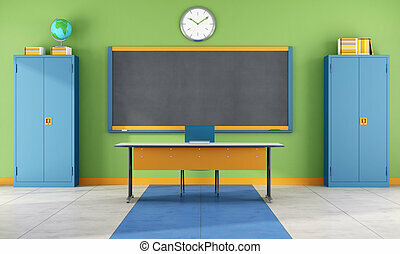 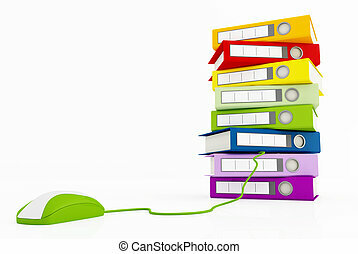 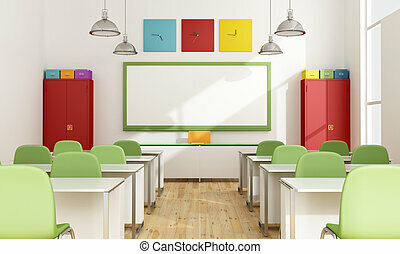 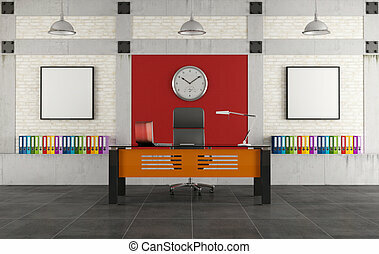 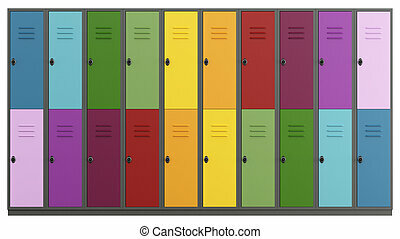 Colorful filing cabinet isolated on white - rendering. 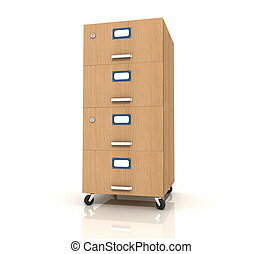 Filing Cabinet web button isolated on a background. 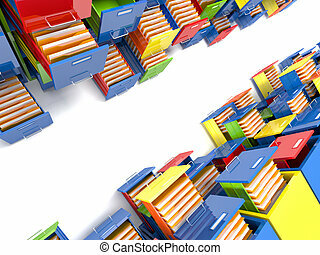 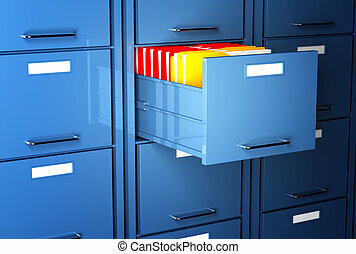 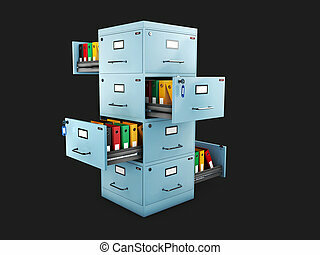 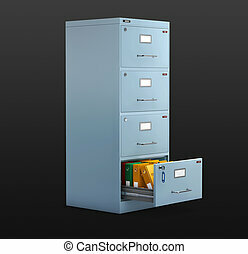 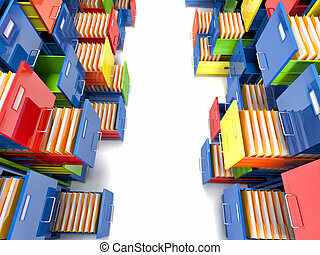 3d Illustration of Files in a filing cabinet. 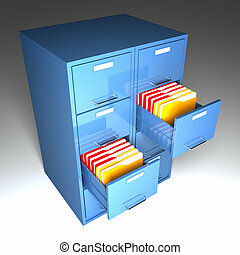 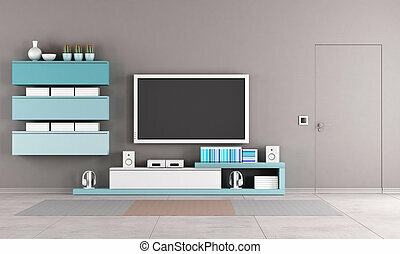 Filing cabinet with a folders in an open drawers, 3d Illustration.